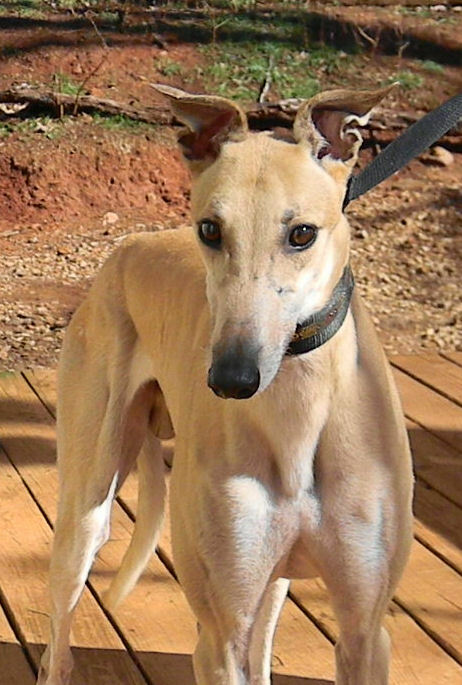 Reilly is tall, long-legged, and classically handsome, with lovely tipped ears and a long narrow muzzle. He was originally rehomed by AAGA in 2014 and was very much loved and well-cared for by his adopters. The family subsequently had a new baby who unfortunately suffers from severe allergies (including to the Greyhound), even requiring hospitalizations. The adopters have struggled with this situation over the past year, trying all available options, but were finally forced to come to the realization that the baby and the dog could not exist together. Thus, they recently sadly returned him to AAGA in the hopes we could find him a happy home. 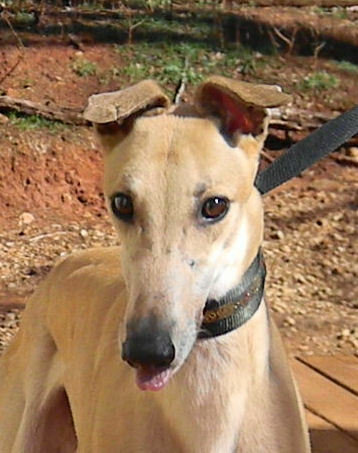 Reilly is very outgoing, sweet and well-behaved. He is also a persistent leaner.